The interdisciplinary center includes 121 faculty investigators from 15 departments at Vanderbilt University Medical Center and Vanderbilt University, as well as faculty from Meharry Medical College. The grant provides support through March 2022 for the VDRTC’s continued efforts to facilitate the discovery, application and translation of scientific knowledge to improve the care of patients with diabetes. “We are delighted that the renewal of this funding, which reflects the broad and deep diabetes-related research at Vanderbilt, will allow us to improve understanding of the causes of type 1 and type 2 diabetes and support our efforts to develop and deliver new therapies,” said VDRTC Director Alvin Powers, M.D. One of 16 such Diabetes Research Centers in the United States, the Vanderbilt center includes four primary components: administrative support; a biomedical research group that recruits investigators and supervises the research cores that facilitate their research; a pilot and feasibility program that supports the development of new investigators into independent scientists and encourages scientists in other fields to pursue diabetes-related research; and an enrichment, training and outreach program that fosters collaborative research and facilitates training of new investigators. According to statistics from the Centers for Disease Control and Prevention (CDC), 29.1 million people in the United States have diabetes, and an estimated 8.1 million of those individuals are living with undiagnosed diabetes. An estimated 86 million Americans have pre-diabetes, a serious health condition that increases a person’s risk of type 2 diabetes and other chronic diseases. Without major interventions, the CDC predicts that as many as one in three adults in the United States could have diabetes by 2050. VDRTC members are grouped into five primary research areas: In Vivo Metabolic Regulation and Obesity, co-directed by Alyssa Hasty, Ph.D., and Kevin Niswender, M.D., Ph.D.; Islet Development, Biology and Immunology, co-directed by Guoqiang Gu, Ph.D., and James Thomas, M.D; Cell Signaling, co-directed by James May, M.D., and Roger Colbran, Ph.D.; Clinical Research, Genetics and Epidemiology, co-directed by Tom Elasy, M.D., MPH, and Alp Ikizler, M.D. ; and Complications Related to Diabetes, co-directed by Jeff Davidson, Ph.D. and John Penn, Ph.D. The VDRTC associate directors are Owen McGuinness, Ph.D., and Nancy Cox, Ph.D., and Suzanne Starr is the VDRTC administrative officer. VDRTC investigators are conducting a broad array of diabetes-related research, including how gastric bypass surgery impacts diabetes and metabolism; how other cell types can be transformed into beta cells (insulin-producing cells); how beta cells can be regenerated; how redox signaling, oxidative stress, and mitochondrial dysfunction impact metabolism; how the metabolic syndrome alters metabolism; how drugs used to treat diabetes impact the cardiovascular system; how to slow diabetes-related kidney disease; how to improve wound healing; and how the gut microbiome influences obesity. VDRTC investigators are also working to improve care for individuals with diabetes through enhanced patient communication and education and through the use of technology. A new feature in the next grant cycle is that the VDRTC will be the coordinating center for the NIDDK Medial Student Research Program that was established in 2009 to encourage medical students to pursue diabetes-related research. In this program, 140 medical students from approximately 80 United States medical schools conduct research at one of sixteen NIDDK-supported research centers during the summer. At summer’s end, all participants come to Vanderbilt for a two-day research symposium. John Stafford, M.D., Ph.D., and Lan Wu, M.D., are associate directors of the VDRTC-coordinated student research program and Deborah Caplenor Brown is the program manager. “The VDRTC will expand the medical student research program’s outreach by partnering with the Vanderbilt Institute for Digital Learning and the Office of Medical Student Affairs at the undergraduate campus and University,” Powers said. Research cores supported by the VDRTC include the Cell Imaging Shared Resource (CISR), directed by Matthew Tyska, Ph.D.; Hormone Assay & Analytical Services Core, directed by Owen McGuinness, Ph.D. and Dale Edgerton, Ph.D.; Islet Procurement & Analysis Core, directed by Marcela Brissova, Ph.D.; Metabolic Physiology Shared Resource (MPSR), directed by Kevin Niswender, M.D., Ph.D.; Transgenic Mouse/ES Cell Shared Resource (TMESCSR), directed by Mark Magnuson, M.D. ; Vanderbilt Diet, Body Composition and Metabolism Core, directed by Heidi Silver, Ph.D. The VDRTC Enrichment, Training and Outreach program is directed by Sean Davies, Ph.D., with Sarah Jaser, M.D. serving as associate director. 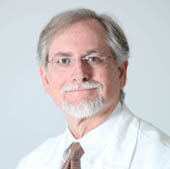 The VDRTC Pilot and Feasibility program is directed by Roland Stein, Ph.D. The VDRTC has an increasing emphasis on communicating its research to the public and other scientists around the world. To achieve this, the center is working closely with Vanderbilt’s research network application Labnodes, directed by Jean-Philippe Cartailler, Ph.D., and Eszter Szentirmai, M.D., to increase its digital communication and presence (https://labnodes.vanderbilt.edu/drtc).